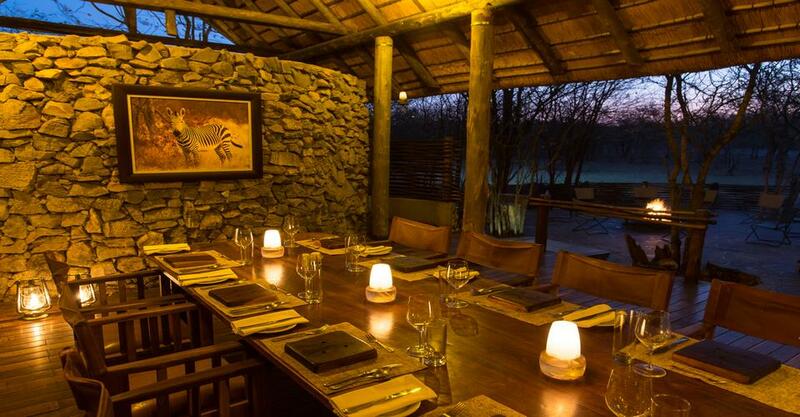 Ongava Tented Camp is in the Ongava Game Reserve. The Game Reserve is on the southern border of Etosha National Park. 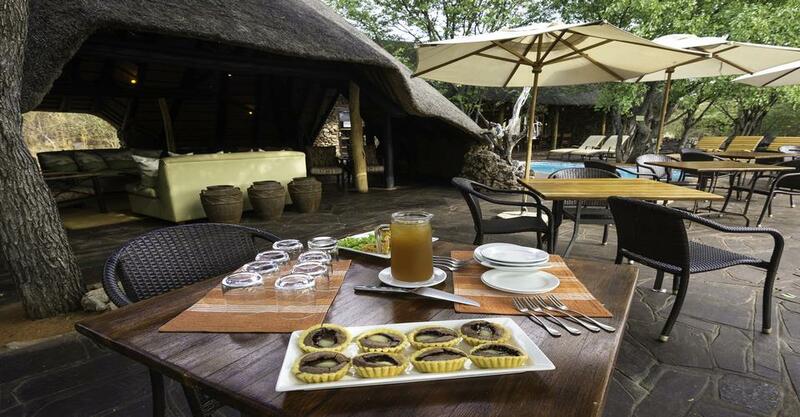 Overlooking a waterhole, Ongava Tented Camp is of stone, canvas and thatch. 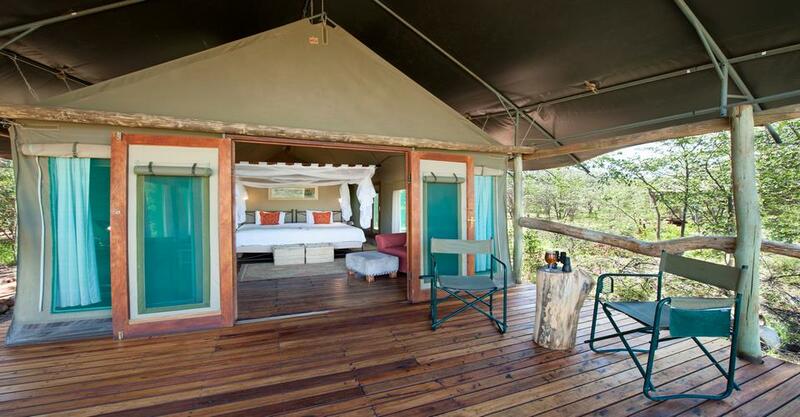 The Tented Camp can host maximum 16 guests in 8 tents. This is a great exclusive destination for the discerning traveller. 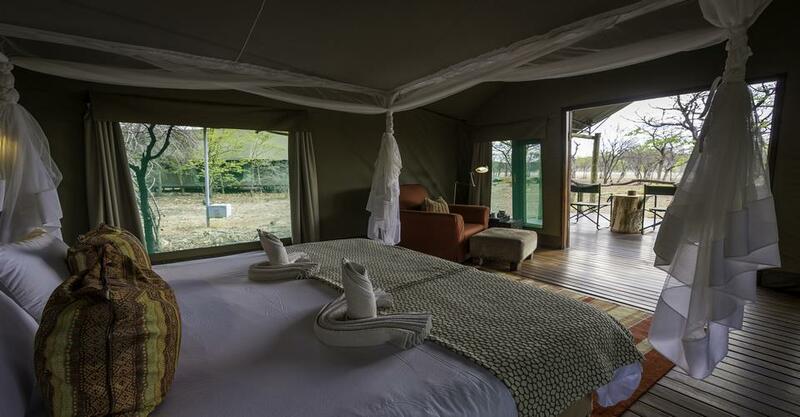 The tents all have en-suite bathroom facilities with open air showers and a private veranda for relaxation.The central area consists of a bar, dining and open deck with a campfire overlooking the swimming pool and the waterhole. Activities around the lodge are offered throughout the day. There is morning and afternoon game drives in Ongava. 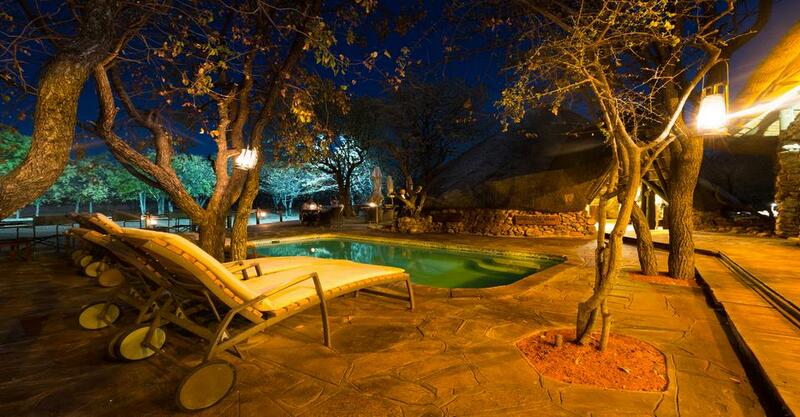 You can also join a night game drive in Ongava. Nature walks are very popular at Ongava. During these Nature walks you can track white rhino with a qualified guide. 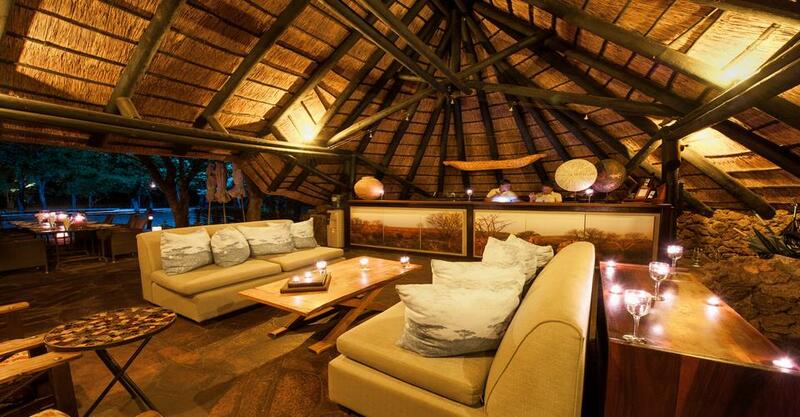 What makes Ongava Tented camp unique is that is a small and exclusive experience within a natural surrounding. Only 16 guests at a time. This ensures a personal touch experience and is very much a Hemingway style of safari. Home to the luxuries of safari. The unique element of Ongava is nature walks, rhino tracking and night game drives. You can select your drives inside the Etosha Park or at Ongava Game Reserve. Nature walks is a fantastic way to explore the natural surroundings. 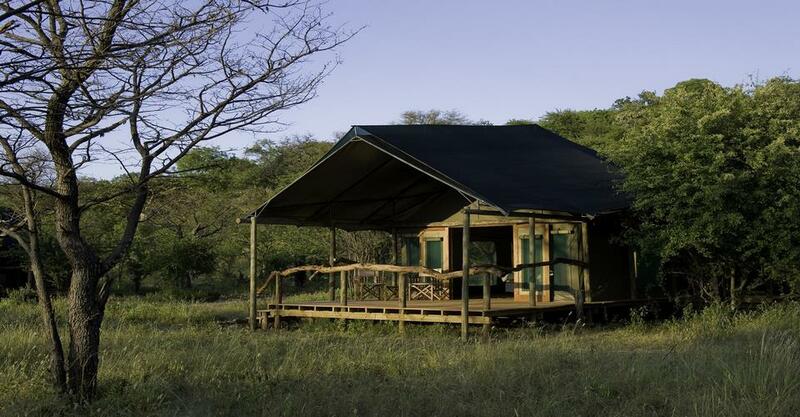 Ongava has Classic Meru style tents with double doors and a veranda. There are eight tents of which one is a family unit. 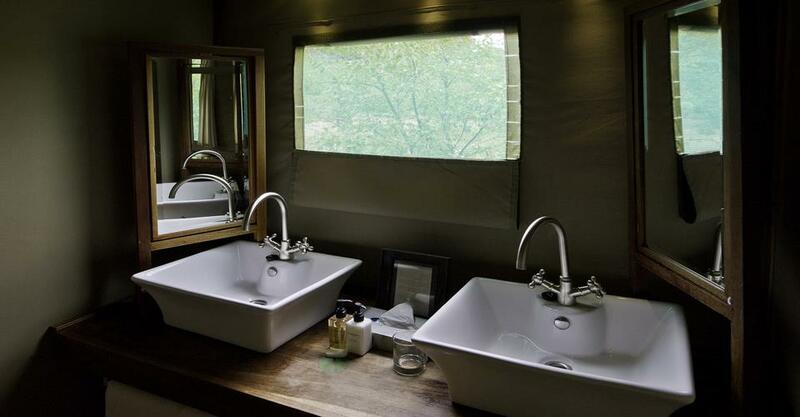 The Tents have En-suite bathrooms with indoor and outdoor shower, basin and toilet. Soaps, shampoos, body lotion, torch and insect repellents are supplied. Waterhole view from the central area. Morning and afternoon game drives in Etosha and Ongava. Child rates apply only when children aged 16 years or under are sharing with full paying adult/s and mist be calculated accordingly i.e 2 adults and 2 children in a family, charge 2x adults sharing rate plus 2x the applicable child rate. In addition, at Ongava Tented Camp, Ongava Lodge and Little Ongava, parties with children 12 years and younger are required to book and pay for private activities unless the camp is booked and paid for on exclusive use. A family booking will depend on availability of the private vehicle/activities at the selected camp for the period requested. Unlike a confirmed Private Vehicle reservation, a party configuration is not a default guarantee for exclusive use. The minimum age for walking activities is 13 years. The minimum age requirement for rhino approaching and photographic hide on Ongava Game Reserve is 16 years. Triple share accommodation is on a request basis and only allowed for children 16 years and under sharing with adults – not for three adults sharing. Guests must accept that there is usually an impact on space and comfort in the case of triple share accommodation. Please contact reservations for further information. For children traveling please advise the ages at the time of travel date, therefore please provide a scan of passport/identity card or birth certificate or similar that contains name and date of birth. 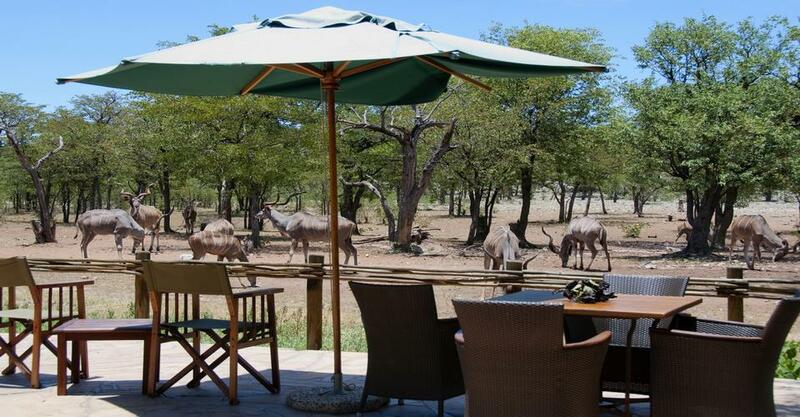 The private activity service includes all the standard activities in that camp, be it guided walks or game drives. Only applicable on FI basis, not on DBB basis. The group size of a booking is not default guarantee for exclusive use. If guests want to have a guaranteed private vehicle and guide, please book and charge accordingly. The private activity service commences with the afternoon activity on the day of arrival and ends with the morning activity on the day of departure. Private vehicle only bookable for consecutive days of entire booking. Ongava cannot accept a reservation request for a private activity on DAY 1 and then again on DAY 3 (DAY 2 might be fully booked). This negatively impacts the lodge scheduling the guides, resulting unsatisfactory service. The pilot/guide rate includes accommodation, all meals, park fees, laundry and all drinks* – excludes premium imported brands and champagne. *Guides/Pilots/Hosts drinks are only included when they are working i.e physically hosting their guests. Any other consumption is for private use/own account, irrespective of number and types of drinks. Must be settled directly in camp before departure. In some cases, the pilot/guide rate does not guarantee the occupant automatic participation in guest activities. In addition, the nightly rates for pilot/guide accommodation are priced per person per bed and not per room. Note that the pilot/guide accommodation available at most of our camps is not of the same standard as guest rooms and usually comprises of twin rooms which may be on a shared basis with other pilot/guide. For guaranteed single room use, double guide room rate applies. The lodge is rated four stars on all offered. Please inquire about our SADC nationals discounts. Ongava Game Reserve 13 years & older No private vehicle booking necessary. All kids under 12 years Private vehicle booking compulsory.